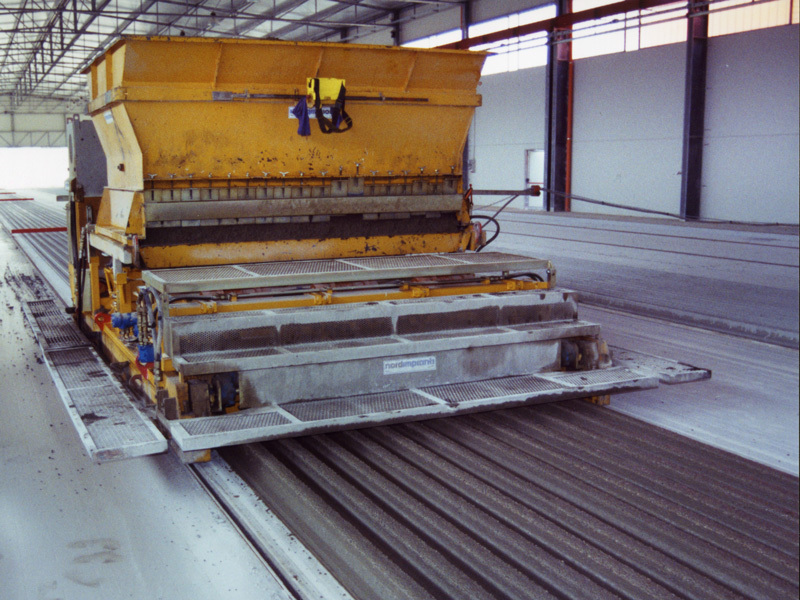 The SF Slipformer for prestressed beams can produce from 8 to 18 beams at the same time depending on the width of the casting bed and the required daily production volume. 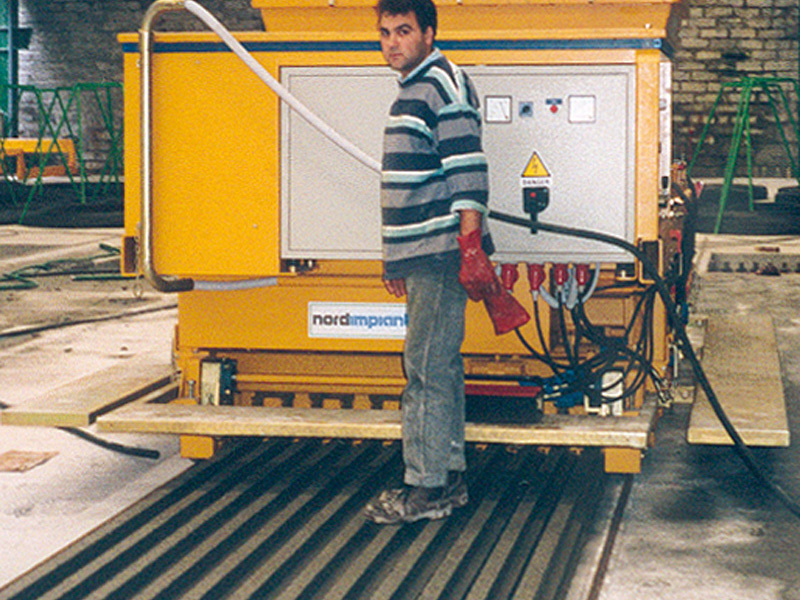 The lower part of the machine consists of two units, a universal frame and a specific forming insert for the production of T beams. In order to achieve a high degree of production flexibility the universal frame can be used, not only with the T beam insert but with other forming inserts(1) to produce other products. 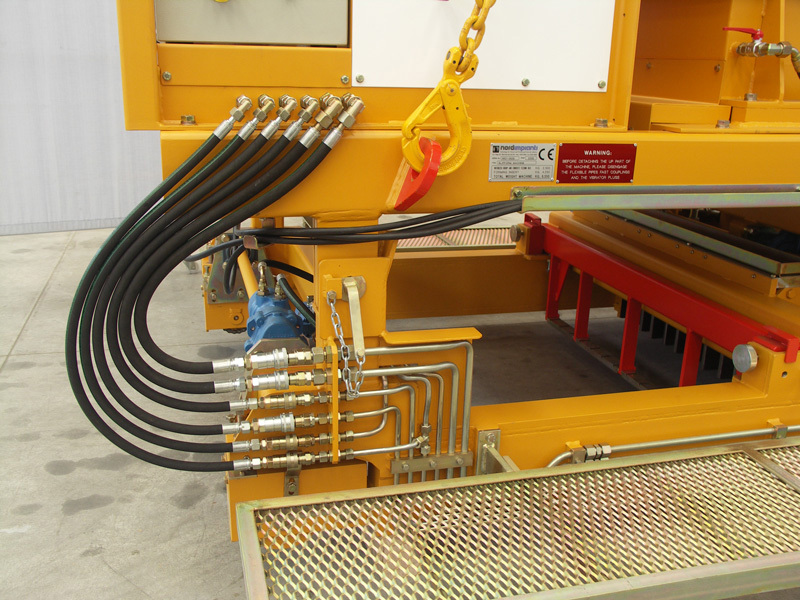 The Forming Insert is equipped with two concrete feeders (one front and one rear) to ensure the correct supply of concrete during element casting. 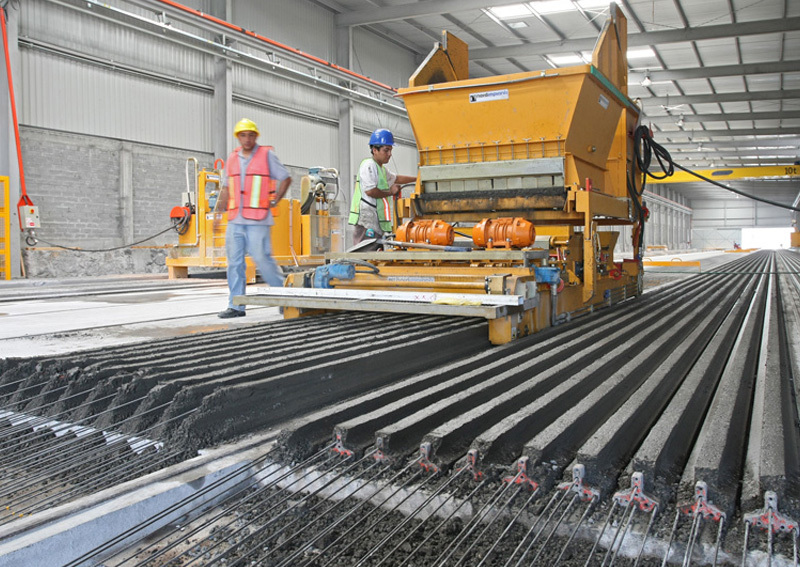 The compacted concrete element is so good that it can support the weight of a person immediately after casting. The size of the beam, as well as the type of stressing cable can be chosen depending on market requirements and the element specification required. The mechanical, hydraulic and electrical connections between the power unit and the forming inserts are by means of quick couplings to minimize downtime time when changing from one product to another. (1)Inverted I-Beams, Half Slabs, Slabs with Lattice Ribs, Vineyard posts, Lintels.